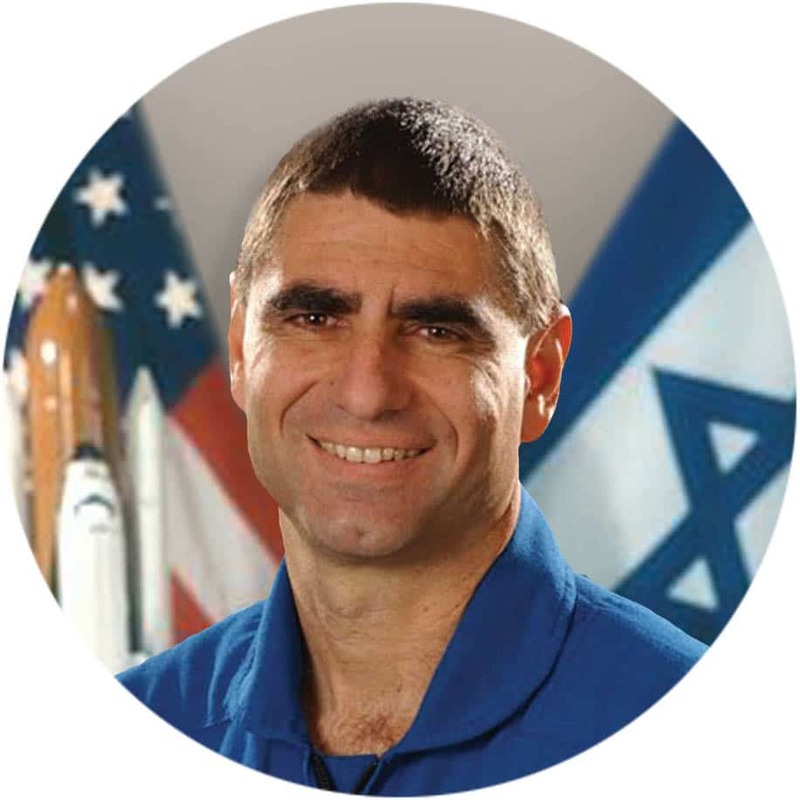 Lt. Col. Mayo joined the Israel Defense Forces in 1972 and volunteered to the IAF Academy where he qualified as a Weapons System Operator (WSO) and Navigator. In the late 70’s, he served as operational WSO in F-4 Squadrons. In the 1980’s, he converted to F-16D and joined an F-16 Squadron. Later in his career he he ran operational evaluation at the IAF Flight Test Center, where he served as Head of the Avionics Section. Lt. Col. Mayo has accumulated over 3,250 flight hours, mostly on F-4 and F-16, in addition to various fixed wing airplanes like the F-15, D&I models, F/A-18D, and helicopters. NASA EXPERIENCE: In 1997, Lt. Col. Mayo was selected as a Payload Specialist for NASA’s Space Shuttle Program. He trained as back-up for a Space Shuttle mission with a payload that included a multispectral camera for recording desert aerosol. In July 1998, he reported for training at the Johnson Space Center, Houston.